So you’ve finished all the errands and are looking for a fun way to occupy your time. Then you tune your TV on a channel that is broadcasting one of those TV live casino shows! For years, punters have been able to watch and bet on football or horse racing at betting shops and online but there was something missing. Live Casinos on TV. Thanks to several UK online casinos and several channels, including Channel 5, ITV and Sky you could play and watch live casino games from the comfort of your home. Live TV Casinos is the new trend that is becoming more and more popular and is definitely here to stay! This has now changed a bit as Jackpot247 is the only online casino that is broadcasting live on TV. 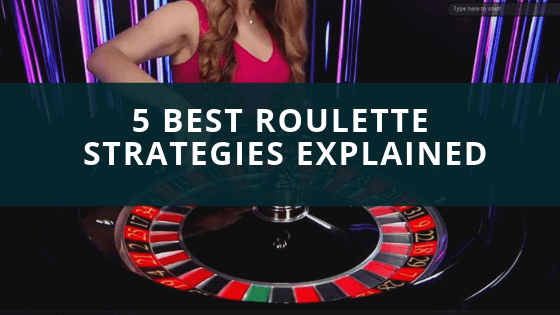 Live Casinos and in particular Live Roulette is offered by some of the best UK casinos for up to ten hours nightly, live on TV from Supercasino.com and Jackpot247.com. Jackpot247 is also know as ITV Roulette or Channel 5 Roulette while the SuperCasino roulette is also know as Roulette Nation. For many, playing at an online casino is a somewhat sterile experience. Live Casino TV eliminates that aspect. The presenters give you a nice commentary on the game, share hot and cold numbers, and gives updates on the winners. The presenters are also very personable and entertaining. So instead of a stodgy number caller, you get to know their favorite football teams, pets, or food. A great interactive experience, with on screen graphics adding to the information displayed on your computer. Welcome to the world of Live Casinos on TV! More casino games on TV? A lot of casino players want to see more live casino games on TV. Money Wheel games like Dream Catcher or Monopoly Live can be easily broadcasted live on TV the same way as Roulette does. Maybe it is just a matter of time until we see one of these games on a TV channel. The mechanics of play are really simple. You log on to the Casino’s website, or access your account on your tablet or smartphone, while you are watching the action on your TV. You make your wagers from your computer and watch the result. The presenter immediately starts the share winners screen names and winnings on screen as well as updating hot numbers and wheel trends. Your winnings are immediately credited to your account. The TV casino presenter gives you between a minute to a minute and a half to place your next round of bets. If you are already playing at SuperCasino or Jackpot 247 then you have probably met the Super Casino presenters! But if you haven’t met them yet here are your hosts. You can find more information about every host on the supercasino.com website. After the departure of smart live casino there are only 2 live casino broadcasting on TV, both of which belong to the same network of NetPlay TV. This is why you will find many similarities between the two TV casinos. Similar site layout similar welcome bonus, similar casino promotions but different channel broadcast. Supercasino used to be on Channel 5 while Jackpot247 is still on ITV. Live Casino TV action offers great advantages for the serious or casual players. You can make bets in increments of 25p to £100. You never have to hope to find a seat at the wheel. The live casino TV presenter updates you on hot and cold numbers and trends which are also displayed on the screen. One especially appealing aspect is the presenter usually gives you trends that go the beginning of the broadcast, something you simply can’t accomplish at a land based casino. The game moves more quickly than a live casino, as the computer keeps tracks of the wins, payouts, and buys. At a brick and mortar casino, you’ll get in between 20 and 35 spins per hour on a busy table. Live Casino TV hits a steady 40 to 60 spins per hour. Convenience. You can play for any amount of time you wish. Say you wish to play for only five spins, not a problem. You can also walk away for a bit and still follow the trends and action on the TV programme. For new players, the presenters offer lots of bonus schemes for the players and explain the betting options. This is a big advantage for players that want to add to their bankroll. New players also get to learn their way around the table and the game lingo without feeling out of place or embarrassed by being a new player. Game integrity. Some players as skeptical about wagering on the internet. Having the game live on your TV does away with that concern. You see the presenter or co-host spin the wheel every time. So the next time you are thinking of a trip to the casino, consider a trip to the sofa with your computer or smartphone or Tablet and your TV. You’ll find it a fun and hopefully profitable decision to play with Live Casinos on TV.